Marilyn Vine’s Water Information page covers contamination, high levels of heavy metals and farm pesticides being found and the risks with cancer and heart attacks with chlorine. 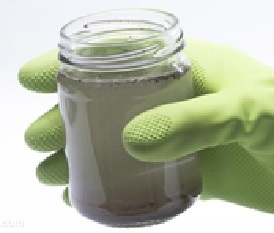 NaturalNews dated 26 March 2019 published this water information article “Biosolids BIOTERRORISM? Learn how toxic sewage sludge threatens national security.” Here is an excerpt and below that a YouTube to be watched. Sorry the YouTube is not available. When you go to the link you will see the message “the connection has timed out”. I believe that NaturalNews via its YouTube channel is receiving excessive censorship in relation to 5G, autism, vaccines, cancer, etc. It is criminal when tech companies take it upon themselves to decide what we can and can’t read or hear. Check out this link to see what Mike Adams believes that President Trump can stop this by taking action. 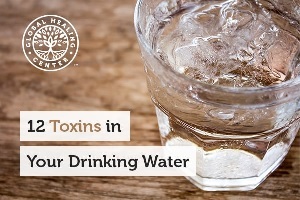 Wakeup World on 22 August 2018 published this water information article “12 Toxins in Your Drinking Water”. Please make sure you read it. 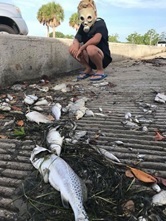 Please click this link to read the full water information article to understand what is happening not only in Florida but in other parts of the US and probably other countries around the world. 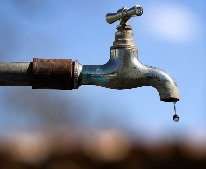 Make sure you click this water information link to learn even more! And this one as well! 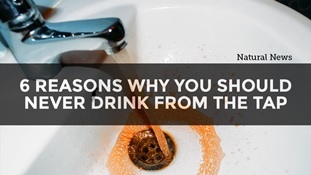 News Target on 3 August 2018 published this water information article “What’s in your water: 6 Reasons why you should never drink from the tap”. Here is a rather horrifying excerpt and you should click the link to read about the six reasons why. News Target on 4 April published this water information article “170 million Americans may have toxic levels of radium in their tap water”. When are we going to stop reading stories like this? Please take time to find out more. NaturalNews has posted an update – 1 July 2018. Click this link to read further information. “If you’re a resident of zip code 49507 in Grand Rapids, Michigan, chances are you’ve been exposed to high – or even dangerous – levels of lead. And unlike the ongoing crisis in Flint, the culprit is the paint on your windows, reported Wood TV. Water Information: Governments world wide seem to have lost the plot in providing their citizens with quality, safe drinking water! The addition of fluoride as an example has a damaging effect on our health. If you don’t know much about fluoride and the consequences of drinking it then I suggest that you click this link to learn more. Over the years I have learned that they add chlorine in an attempt to control contamination and again I have read that it doesn’t work and is useless and in fact can cause nearly as much harm as fluoride! Aluminum is added to the water for clearness of the water and we all know its implications in dementia and Alzheimer’s disease. There is more information with regards to these additives shown below. 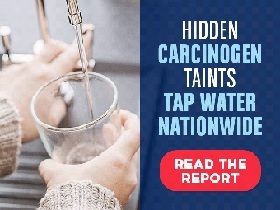 “A new analysis from EWG has revealed a hidden carcinogen in the tap water of 90 million Americans across 45 states. 1,4-Dioxane is an industrial solvent found in tap water across the country, as well as in cosmetic and household cleaning products. Activist Post dated 29 July 2017 has issued this water information document “REPORT: Nearly All Of U.S. 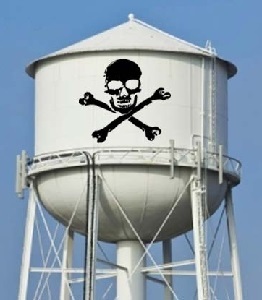 Drinking Water Contaminated With Cancer Causing Chemicals”. “The Environmental Working Group, a non-profit research organization environmental watchdog, released a searchable database Thursday that shows almost 50,000 public water systems in the U.S. are contaminated with dozens of harmful chemicals. Bookmark this page to see new information. EPA chief rejects petition to ban chlorpyrifos, the most commonly used organophosphate insecticide, and USDA has suddenly dropped its plan to test food for residues of glyphosate. Click this link to read Dr Mercola’s article and here to learn more about glyphosates. “Michigan’s attorney general announced Wednesday that the head of the state’s health department and four others have been charged with involuntary manslaughter for their role in the years-long Flint water crisis. It is important that people understand that their drinking water is no longer safe. One only has to read about the Flint Water episode in which so many people have been poisoned by lead and I understand the effects are irreversible! I have been filtering water since 1999 and both my husband and I found it difficult when we were away from home to drink the tap water where we may have been. We found both the smell and the taste were not to our liking after having drunk highly filtrated water free of fluoride and the harmful heavy metals contained in the fluoride products, i.e. mercury, arsenic, cadmium and lead are but a few of the constituents that have actually been identified and who knows what else it may contain as so many of these compounds come from China and Japan. There are four pages on fluoride on this website that you can click into to learn more about the harm of artificial fluoridation and even high levels of naturally occurring fluoride. Click this link to read the information. 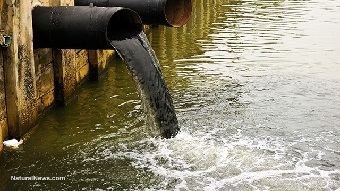 “Federal regulations require chlorine treatment of the water supplied to urban and suburban areas of America and much of Canada from surface sources such as lakes, reservoirs and rivers, constituting about 75 percent of water consumed. Water from underground sources generally is not chlorinated unless it is supplemented by surface water. My hometown, Lacey, Washington, and some surrounding communities that are supplied water by Lacey, are fortunate to be among that group; I’d like to see that continue. Please click this link to learn more about the chemical background of chlorine. NaturalHealth 365 dated 8 February 2017 provides information on research implicating chlorine in heart attacks and cancer. Many years ago in Europe when they ceased the practice of artificial fluoridation it was found within a three year period that heart attacks and cancer rates dropped dramatically. It is interesting that they have now identified chlorine as another ingredient. Click this link to read the full article. “The toxic chemicals perfluoroalkyl and polyfluoroalkyl (PFAS) have been found in alarming levels in drinking water around the United States. In fact, they exceed safe levels that have been set by the Environmental Protection Agency, and are threatening the health of over 6 million people around the country. 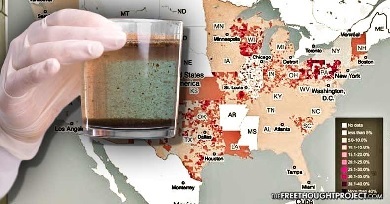 This is just more information on the poor quality of water that Americans are drinking. They are still reeling from the information that has been revealed on the Flint Water disaster. If the people of Mildura were not aware of the poison in their drinking water then they certainly are now! Below that is a YouTube from a few years back which is a wonderful parody that I thought you might enjoy. NaturalNews dated 8 November 2016 has written a water information article on oil and gas companies ignoring regulations and dumping fracking wastes into rivers. This is one of many reasons why our drinking water has become so polluted. Click this link to read the NaturalNews article. NaturalNews dated 3 November 2016 advises that the The Environmental Protection Agency (EPA) is taking action in Ireland and addressing water quality issues with a public utility company named Irish Water. The EPA has conducted audits at 19 public water supply utilities, and has issued 11 important directives to Irish Water. The public water utility is working with the EPA to fix some major issues that threaten the health of the public. 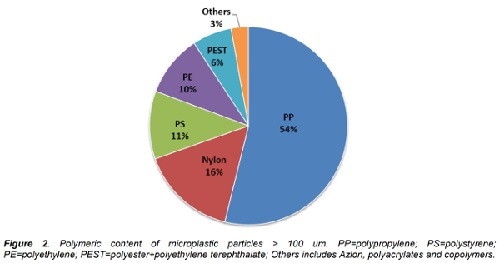 These issues include addressing the increasing pesticide contamination of drinking water, the formation of carcinogenic trihalomethanes (THMs), and installing better treatment protocols to stop cryptosporidium parasites from entering drinking water. New information dated 5 November 2016 from Dr Mercola with a YouTube and advising what is poisoning America’s water. Click this link to access this water information article and the YouTube. In the US, 12 to 18 million cases of water-borne diseases occur annually; 16.5 million Americans have detectable levels of PFAS in their water; 16 million have perchlorate in their water, and lead contamination is on the rise"
Make sure you click this link to read the full article and then take time and watch the YouTube. Sorry the YouTube has been removed. 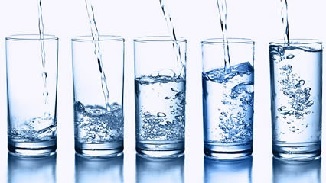 Prevent Disease released a very good water information article dated 30 August 2016 on how increasing your intake of water could help to control weight and reduce your sugar, sodium and fat intake. Click this link to read the full article. On 22 August 2016 we have a water information article in NaturalNews regarding Erin Brockovich on “Millions of Americans' tap water posioned due to EPA standards.” Please click the link to read the full article. You should be on high alert! 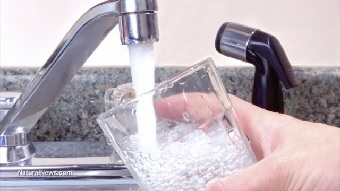 “Our citizen-powered EPA Watch program has now resulted in the open source publishing of heavy metals contamination tests of 230 municipal water samples across America. The results show that two to three per cent of the U.S. water is highly contaminated with toxic heavy metals, poisoning an estimated 10 million Americans with brain-damaging contaminants that surpass EPA limits. Yet the EPA has not alerted Americans to these toxic heavy metals in their water. Just as in the case of Flint, Michigan, the EPA is systematically covering up irrefutable scientific evidence of heavy metals water contamination across America. Click here to view the data now at the Natural Science Journal, sorted by zip code. Click this link to read the full disclosure. The Molecular Hydrogen Institute (MHI) contains a great deal of information on Molecular Hydrogen: an emerging medical gas with therapeutic potential. On this website they cover diseases vs hydrogen and a great deal more. Click this link to visit their website and see what they have to say. I did a quick search on PubMed and found that there were quite a few studies available on the benefits of drinking hydrogen enriched water. I made a short document of some of the information. Click here to read what I found. The Mayo Clinic has put out information on cardiovascular disease and the importance of drinking water. Dr. Virend Somers is a Cardiologist from the Mayo Clinic who is the lead author of the report in the July 29, 2008 issue of the Journal of the American College of Cardiology. It has been determined that heart attacks can be triggered by dehydration. Correct time to drink water. 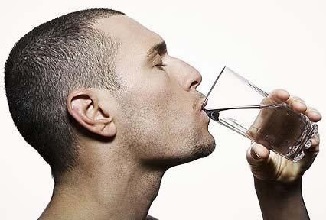 It has also been suggested that drinking water at bed time will also help prevent night time leg cramps. Your muscles are seeking hydration when they cramp and wake you up. I know a lot of people don't like drinking water before bed for obvious reasons, but it can have it's benefits.